Foraging is always super rewarding. It's wild, delicious food, that you've found... For free. But foraging invasive plants is even better. Not only is it wild, delicious, and free food, you don't have to worry about over-harvesting and in fact harvesting bucketloads is doing the native flora a favor. It's a win/win/win. 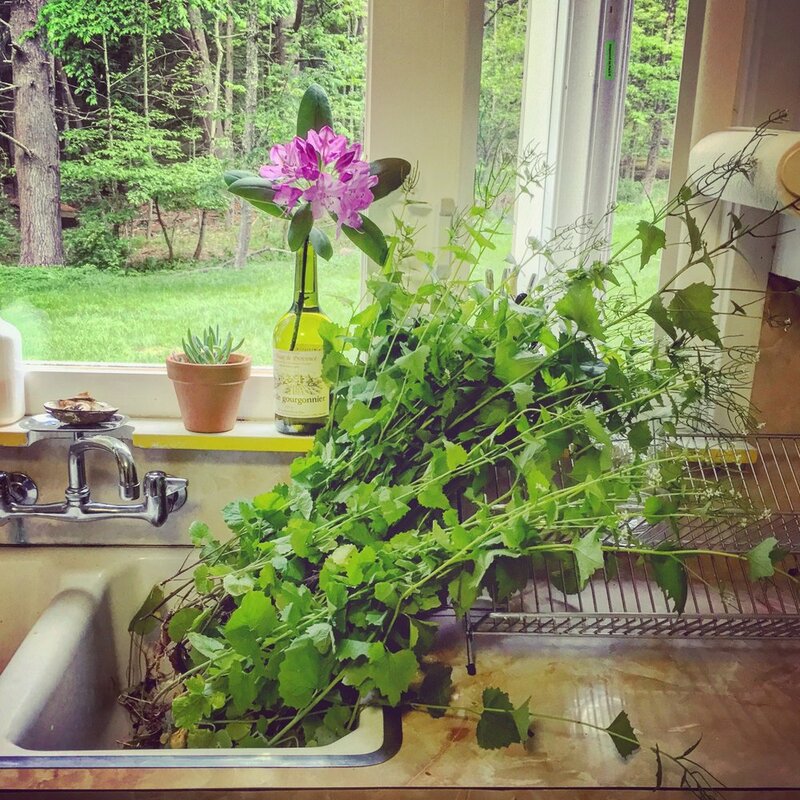 Garlic Mustard is an easy forgeable that falls exactly into this category. The leaves, roots and flowers are all edible (and the stalks are super tasty sautéed if you get to them before they flower). We like using the leaves to make pesto. It's name doesn't lie. This found leafy green is filled with a fresh garlic character and a fiery mustard bite up front. And the pesto it makes is great on pasta, toast and as a rub on anything headed for the grill. In a food processor, combine garlic mustard leaves, walnuts and garlic and pulse until very finely minced. With the processor running, slowly pour in the olive oil and blend until smooth.